Oregon has long been regarded as a state full of natural treasures with ample forests, rivers and mountains. We rely on Wilderness to provide clean drinking water, wildlife habitat, recreation and solitude. Wilderness is what defines us as a state, and provides us with a high quality of living. And while our public lands belong to everyone, it takes an act of Congress to protect them from logging, mining and human development. Fortunately, the power to designate areas as Wilderness is in our hands. With an uncertain political landscape, the need to protect our remaining wildlands has never been greater. 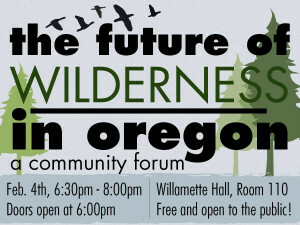 Join us for an evening to learn and discuss the future of Wilderness in Oregon. The event is free and open to the public. 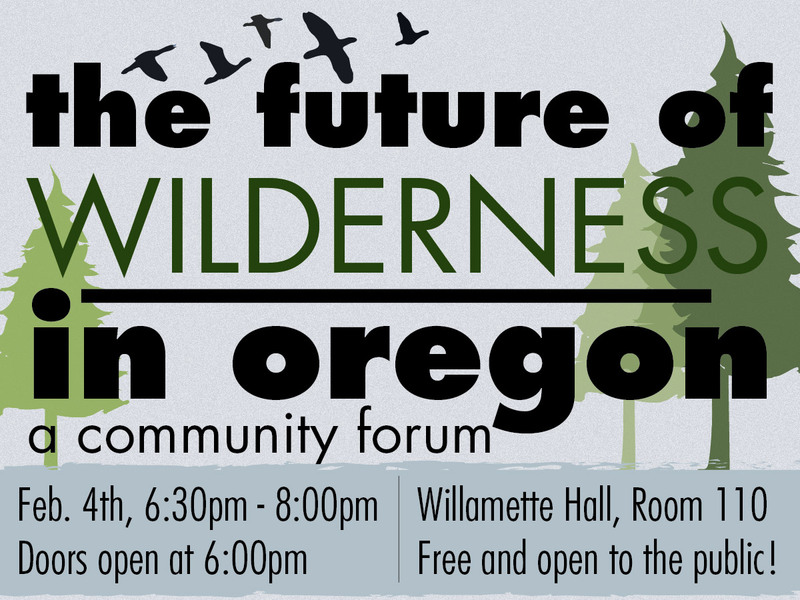 Hosted by the University of Oregon Outdoor Program, Environmental Studies Program, Oregon Wild, Sierra Club, Cascadia Wildlands, Great Old Broads for Wilderness, and Lane County Commissioner Pete Sorenson. For more information, contact Josh Laughlin, Cascadia Wildlands, 541.434.1463.